Showing results for tags 'japan'. Hours available for GFSquad Subs per week? Do you have access to a computer/laptop? Do you have access to the internet? How long have you been a Buddy? Why do you want to join GFSS? If yes, what software do/did you use? Gwoxenox posted a topic in Let's Talk GFRIEND! Hi guys, I'm going to Korea and Japan in the summer and was really excited when Gfriend announced their concerts in Japan in August, but I can't find any translations or information about ticket sales. Are they already on sale (omg please don't let them be sold out already I think I'd die)? How do I get them? I am in the 1st Buddy fan club if that's required. If anyone knows about where I can find out about this please please please say I'd be so grateful. GFRIEND Racing towards Japan’s Tokyo Dome [TV Report = Kim Yena Reporter] Source: http://m.entertain.naver.com/read?oid=213&aid=0001038114 They’ve been running for 3 years since debut. They received attention with every song they released and cruised their way into becoming a popular girl group. They have reached their peak. And now they take on a new challenge in Japan. GFRIEND finished their flourishing promotions with their song ‘Time for the Moon Night’ which was released in April. GFRIEND who has always run with the ‘Power Innocence’ concept since debut changed it up with ‘Time for the Moon Night’ and strengthened their lyricism. GFRIEND’s ‘Time for the Moon Night’ which as met with their unique energy, earned them 10 wins. GFRIEND’s total number of wins so far sits at 47 so far. Not only that, GFRIEND’s ‘Time for the Moon Night’ showed resilience on the music charts as promotions went underway. Compared to when the song was immediately released, their rank has risen. It claimed MelOn chart’s top spot 17 days after it’s release. Off the back of their success with ‘Time for the Moon Night’, they got on a plane to Japan on the morning of the 22nd. Their debut album that they’re promoting, which will be released on the 23rd, is called ‘今日から私たちは~ GFRIEND 1st BEST’. GFRIEND already had pre-promotion schedules back in March. They held a press conference and a premium showcase at the Shinjuku Alta Theatre in Japan and officially made their entry into the Japanese market. At that time, GFRIEND said “We feel nervous and excited, just like when we made our debut in Korea 3 years ago. Now that we’ve got a new challenge, we will do our best and strive until the day we perform at the Dome.” For Kpop singers, the Japanese market is considered one of the areas that they all want to challenge after they’ve debuted. In particular, a Dome Tour starting from Tokyo Dome, is a target for many singers. TVXQ, Big Bang, Girls’ Generation, EXO, Shinee etc. have all had Dome Tours. As a result of their seniors, GFRIEND is expected to follow their success. GFRIEND will release Japanese debut album May 23rd! Girl Group GFRIEND’s member Umji was selected as the exclusive model for a famous Japanese fashion magazine. [OSEN = Sun Mikyung Reporter] Source: http://entertain.naver.com/read?oid=109&aid=0003748650 GFRIEND’s agency Source Music said “GFRIEND’s Umji has been selected as the exclusive model for ‘POPTEEN’, a famous Japanese fashion magazine. Umji will appear in ‘POPTEEN’ from June and become their exclusive model for the future." ‘POPTEEN’ is a leading Japanese teen fashion magazine and receives overwhelming support from Japanese teenagers. Umji is the youngest in GFRIEND and is determined to show a fresh, bright and cute image that matches and synergises well with ‘POPTEEN’. GFRIEND who is about to make their debut in Japan performed at the large scale festival ‘KIZUNA Festival’ at Tokyo Toyos Pit on the 29th as a pre-promotion activity. ‘Kizuna Festival’ is a large scale festival for Japanese youths hosted by ‘POPTEEN’. They started with ‘Rough’ and ‘Navillera’ and also performed their Japanese debut track ‘今日から私たちは (Me Gustas Tu)’ which is the Japanese version of their song, receiving cheers from the fans. In addition, there was huge interest in GFRIEND from Japanese teenage girls, and as expected, GFRIEND attracted even more attention by communicating in Japanese to the local fans. On the same day, ‘Kizuna Festival’ also officially announced Umji as ‘POPTEEN’s’ exclusive model. After Umji becoming ‘POPTEEN’s’ exclusive model was announced, she was trending in portal site ‘Yahoo Japan’s’ real time search, becoming a hot topic even before debuting. Earlier, GFRIEND finished their press conference and premium showcase on the 28th. Local media outlets that attended the press conference and showcase showed great interest in reporting about GFRIEND’s advance into Japan. GFRIEND will debut in Japan on May 23rd with their best debut album ‘今日から私たちは~ GFRIEND 1st BEST’. Girl group GFRIEND completed their first promotion in Japan, signalling their advance into Japan. [OSEN = Lee Sodam Reporter] Source: http://entertain.naver.com/read?oid=109&aid=0003747705 On the 28th at 4pm, GFRIEND held a press conference and premium showcase at Alta Theatre in Shinjuku, Japan and officially announced their Japanese debut to be the 23rd of May. On this day, GFRIEND put on a powerful but innocent performance of their hit songs ‘Rough’, ‘Navillera’, and ‘Me Gustas Tu (JP Ver)’ and attracted the audience with their lively charm. In particular, the title song of their Japanese debut “The Best” album, ’今日から私たちは (Me Gustas Tu)’ drew the most attention from local media. Major Japanese media outlets including Fuji TV, Abema TV, Nikkan Sports, Daily Sports and Sankei Sports placed the spotlight onto GFRIEND and reported on their first promotion in Japan. In addition, GFRIEND answered questions from local reporters in Japanese as they were learning it and received praise for it. GFRIEND who are about to make their debut in Japan said “We feel as nervous and excited as we did when we debuted domestically. We have begun a new challenge and will do our best until the day we perform at a Dome concert”. Starting with the press conference and premium showcase on the 28th, GFRIEND will participate in pre-promotion activities in Japan including interviews at major outlets, large scale festivals and TV appearances. 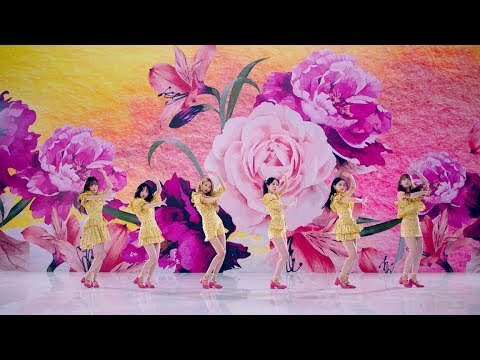 Since their debut with “Glass Bead” in 2015, they’ve recorded successes from ‘Me Gustas Tu’, ‘Rough’, ‘Navillera’, ‘Fingertip’, ‘Love Whisper’, to ‘Summer Rain’, solidifying them as a famous representative KPOP girl group. GFRIEND will release their debut Best Album ‘今日から私たちは~ GFRIEND 1st BEST’ on May the 23rd marking their official debut in Japan. GFRIEND Japan Official Twitter now open! Girl group GFRIEND confirms their debut in Japan for this coming May. [OSEN - Lee Sodam Reporter] Source: http://entertain.naver.com/read?oid=109&aid=0003724717 Their agency Source Music said “GFRIEND will formally debut in Japan. They signed a deal with famous Japanese label King Records, and are planning to release their Japanese album in May.” GFRIEND who debuted in 2015 with the song “Glass Bead” recorded multiple successes with ‘Me Gustas Tu’, ‘Rough’, ‘Navillera’, ‘Fingertip’, ‘Love Whisper’ and ‘Summer Rain’ and has become a representative Kpop girl group. Based on their storytelling and strong contents, GFRIEND are expected to leap into Japan with their distinctive colour of “Power Innocence” where they put on powerful performances but have an innocent image. With the recent release of GFRIEND’s official Japanese homepage teaser, the fans’ interests have been pouring out. King Records, which have signed a contract with GFRIEND, is a famous Japanese music production and planning company that produces popular idol albums. Meanwhile, GFRIEND finished their first solo concert ‘Season of GFRIEND’ in January and will go on an Asian Tour starting from Taiwan on Feb 28th, and will also go to other countries such as Thailand, Hong Kong, Singapore and Japan etc. https://gfriendofficial.jp/teaser/ Looks like Source is planning on GFRIEND's debut in Japan soon! kpopasiawroldwide posted a topic in Let's Talk GFRIEND! Jkyc posted a topic in Let's Talk GFRIEND! Neshy posted a topic in Let's Talk GFRIEND! What do you want for their japanese debut? singermelodie1 posted a topic in Let's Talk GFRIEND! Do you guys want them to comeback with an original song or with a remake of a Korean song?